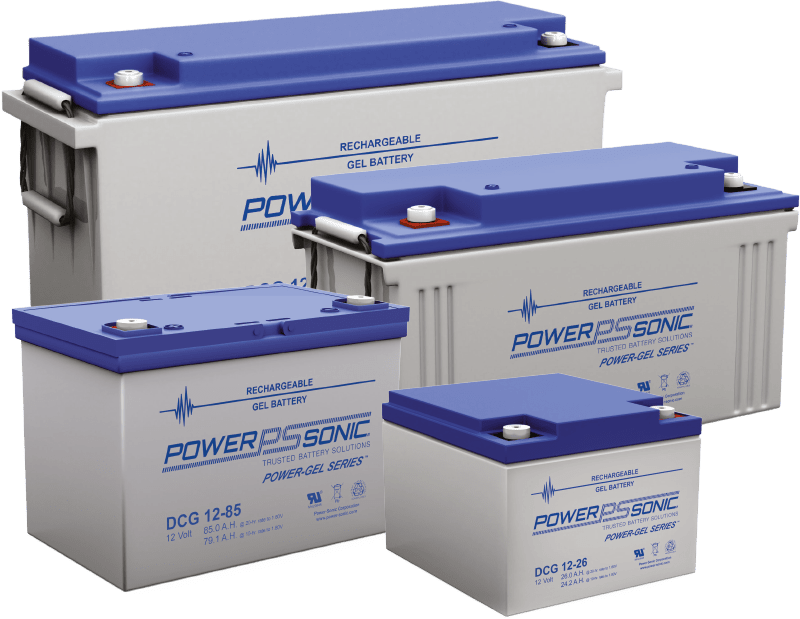 Our range of batteries are designed and manufactured using the latest technology and state-of the art equipment to ensure that they met the unique demands of each application. 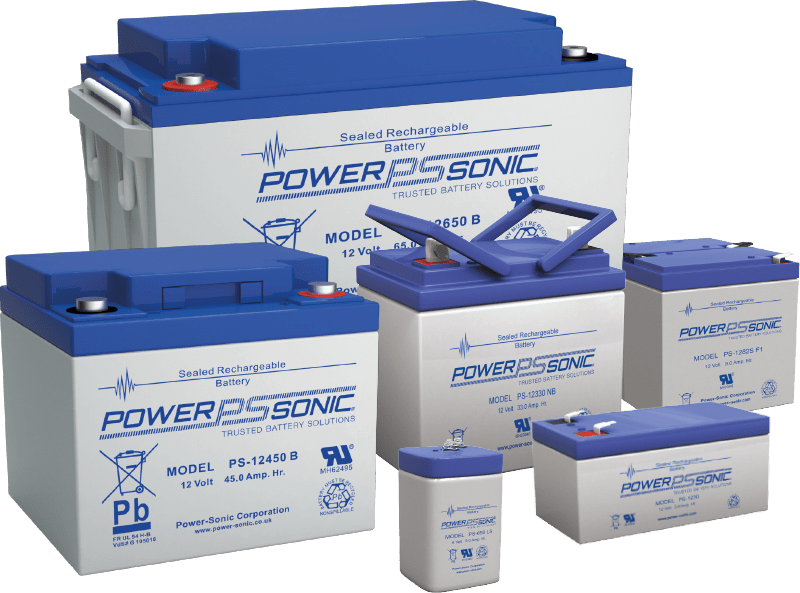 Power Sonic has been manufacturing batteries for nearly 50 years and during this time we have developed one of the most extensive product ranges in the industry. 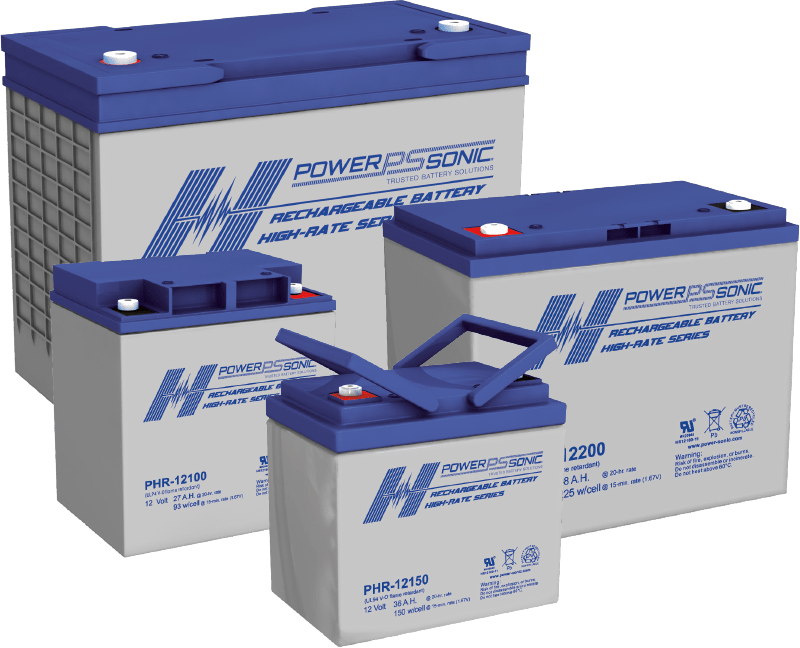 We supply a full range of batteries utilizing a variety of chemistries and technologies including sealed lead acid, lithium phosphate and pure lead. 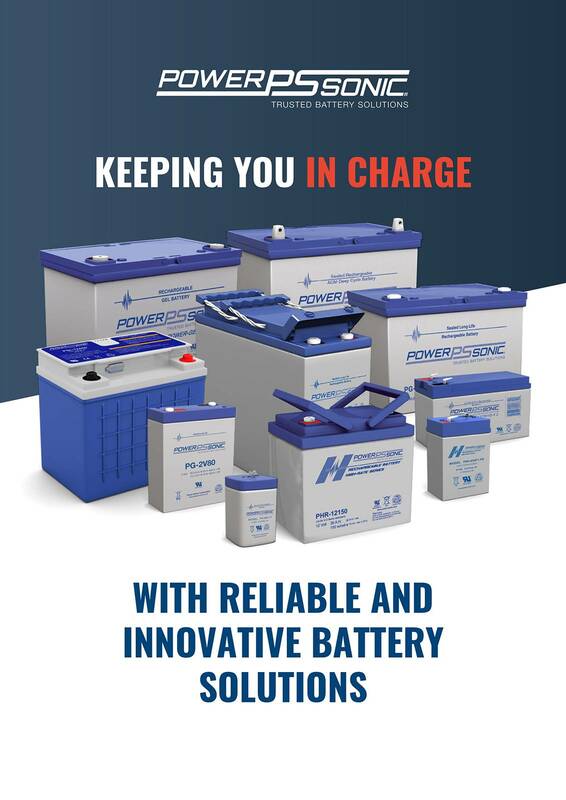 Our range of battery products are manufactured using state-of-the-art equipment, following the most efficient manufacturing processes and are subject to rigorous quality control. This ensures every battery that carries the Power Sonic name performs consistently and reliably. We are constantly enhancing our product portfolio for new verticals and applications, our expert engineering team has years of application expertise ensuring we can offer the latest technology to meet customer requirements. KNOW YOUR BATTERY MODEL NUMBER? If you know the model number of the battery you are looking for, please enter it below. General purpose VRLA batteries designed with AGM (absorbent Glass Mat) technology. Ranging from 0.8ah to 260ah for standby and light cyclic applications. 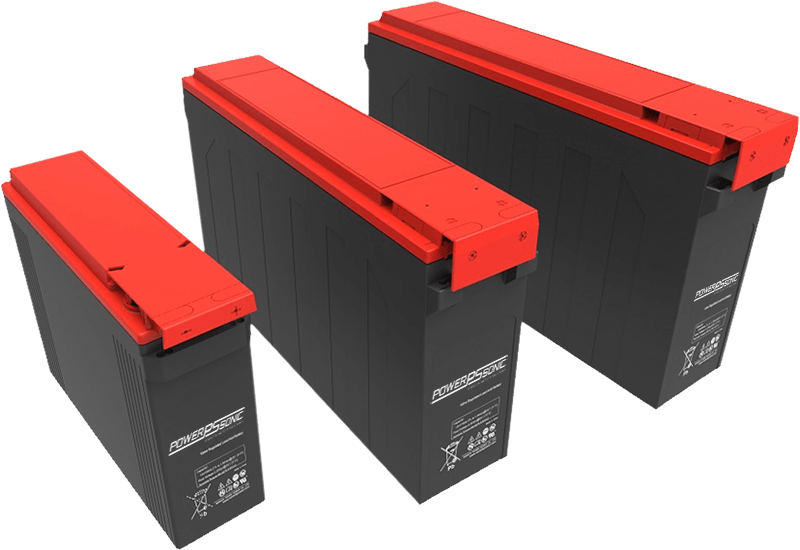 Long life general purpose VRLA batteries with a design life of 10+ years, includes 2V monoblocs and front terminal batteries. Applications include UPS, telecoms, emergency lighting and standby power. VRLA batteries with superb high-rate discharge characteristics that ensure reliable performance in UPS and all other high rate discharge applications for up to 10 years. Deep cycle VRLA batteries engineered for a long cycle life, suited for deep cycle applications including mobility, golf, solar and wind. 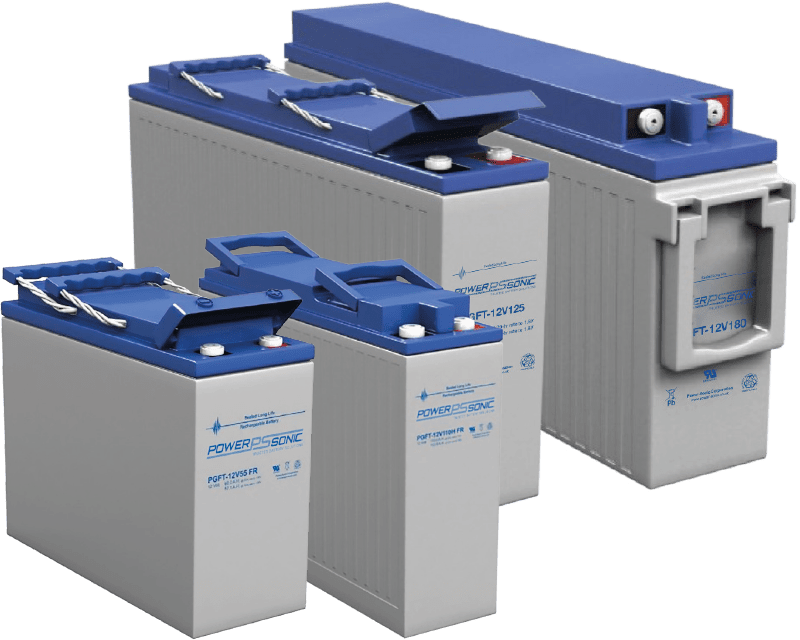 PSPL series – Pure lead batteries, different from conventional VRLA or Gel batteries, utilizing thin plate pure lead technology to ensure superior performance and design life in even the harshest environments. 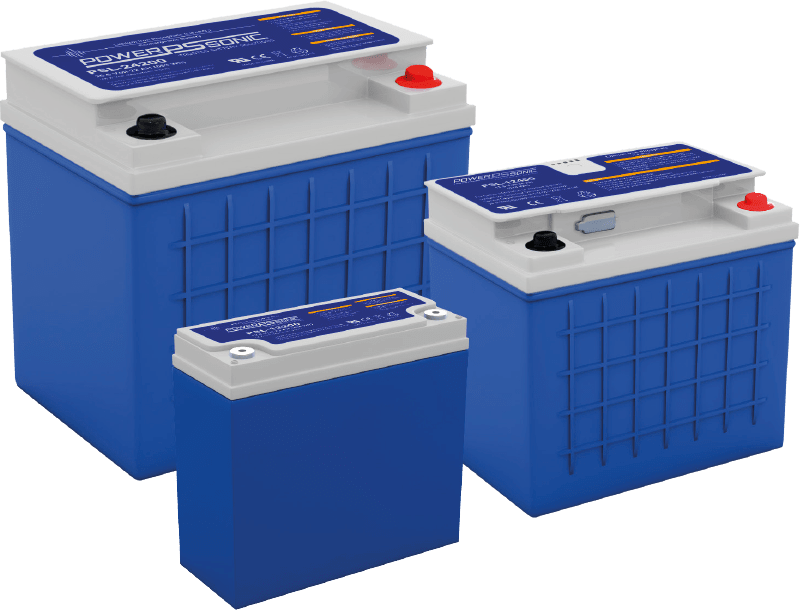 Deep cycle gel batteries that offer superior performance and cycle life compared to standard AGM, applications include renewable energy, golf and mobility. 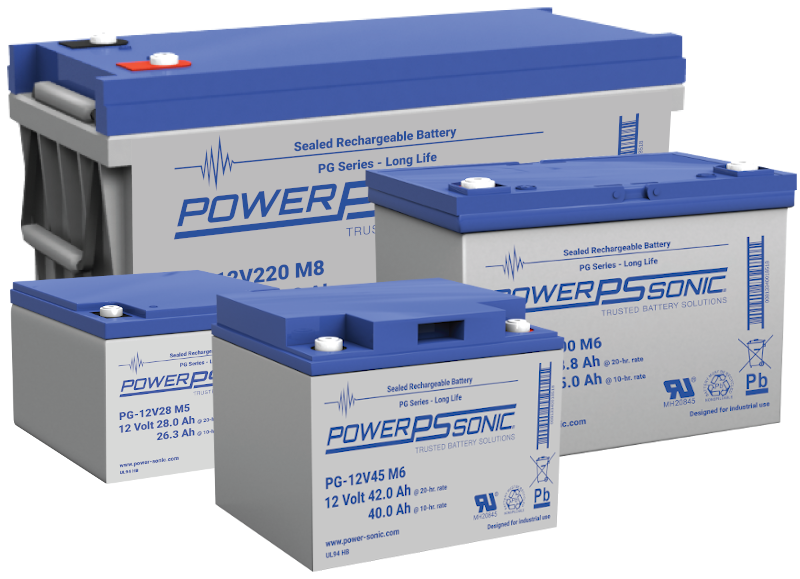 LiFePO4 technology providing a solution to the need for a lightweight, higher capacity battery. 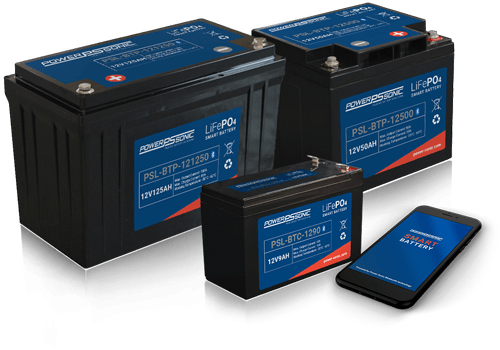 The LiFePO4 battery offers a high cycle life and exceptional performance over a wide range of temperatures. Tubular gel batteries that offer a design life of up to 20 years and excellent reliability in harsh conditions such as high operating temperatures or unstable power networks. 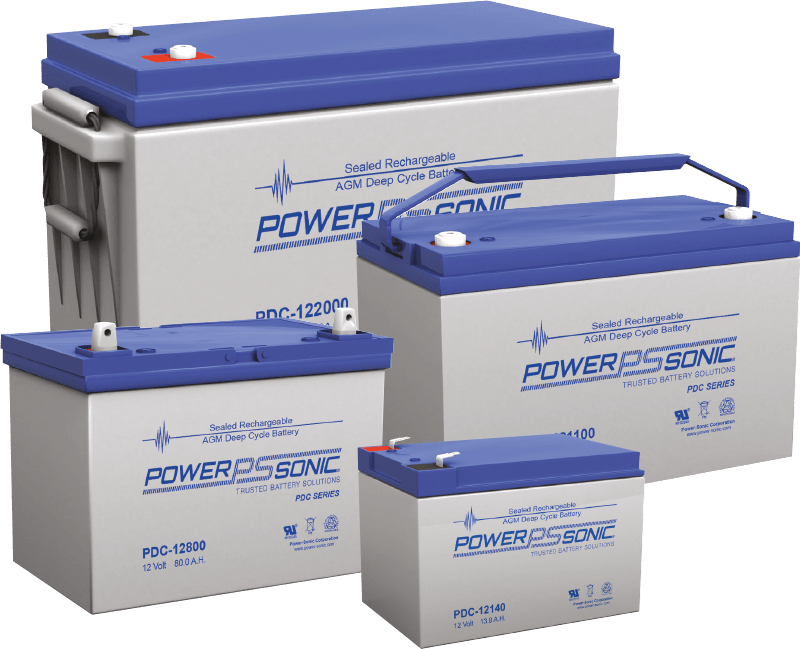 With all the benefits you come to expect from the Power Sonic PG series but with the added feature of easy to use front terminal connectors ensuring ease of installation and maintenance when installed in a battery cabinet. 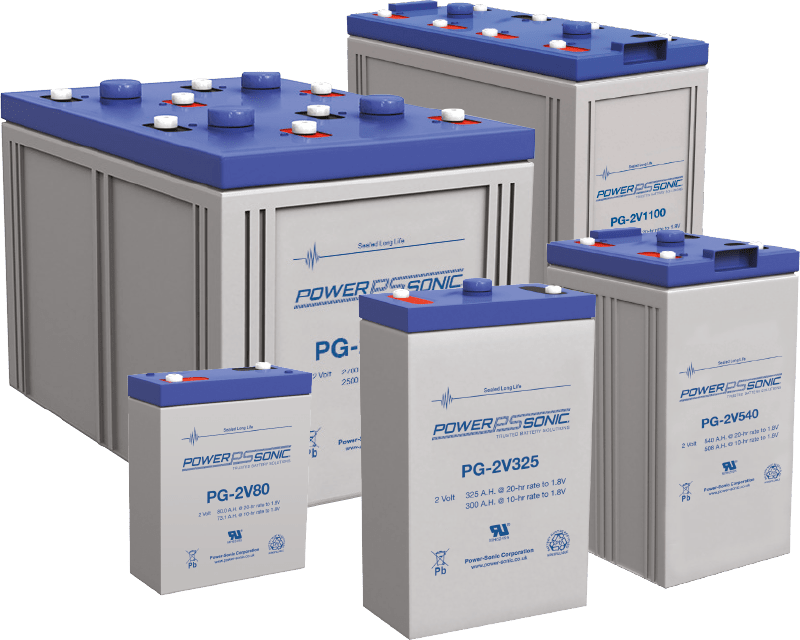 Utilizing a special grid alloy and high purity raw materials Power Sonic’s PG 2V series ensures less gassing and reduced self-discharge resulting in a highly dependable long life battery. 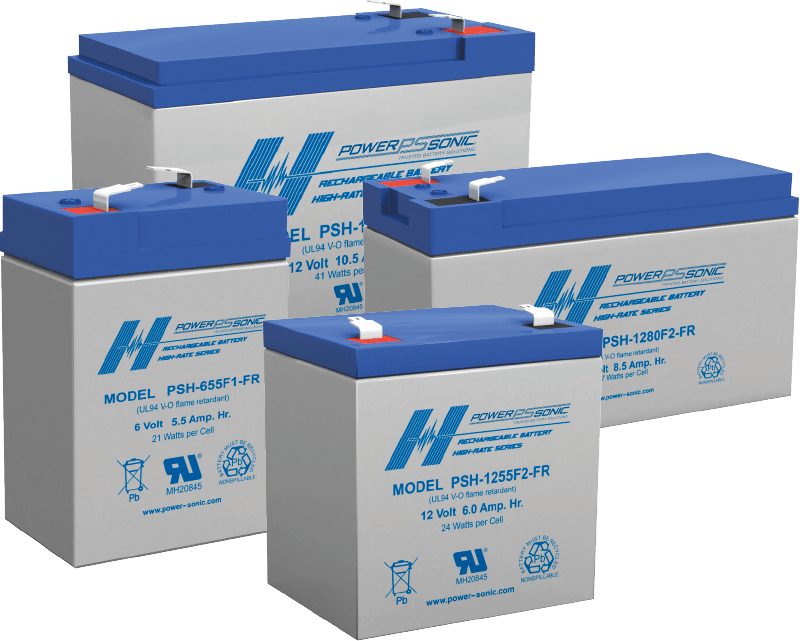 Power Sonic PSH series of high-rate sealed lead acid batteries have been designed and engineered specifically for high-rate discharge UPS applications. 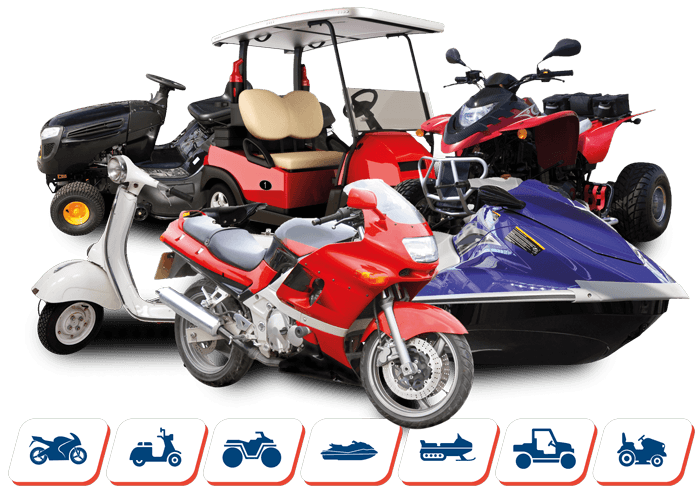 High quality and reliable Ultra Sport and Super Sport series batteries offers a complete line of to meet all of your Powersport needs.